Yesterday the Washington State Department of Natural Resources (DNR) celebrated Take Our Daughters and Sons To Work® Day with the children of state employees. This year, the Take Our Daughters and Sons To Work® Foundation partnered with the National Association of State Foresters to introduce children to careers in forestry. Almost a hundred kids came out to learn about the jobs we do at DNR, the Department of Fish and Wildlife, and the Washington Department of Agriculture. 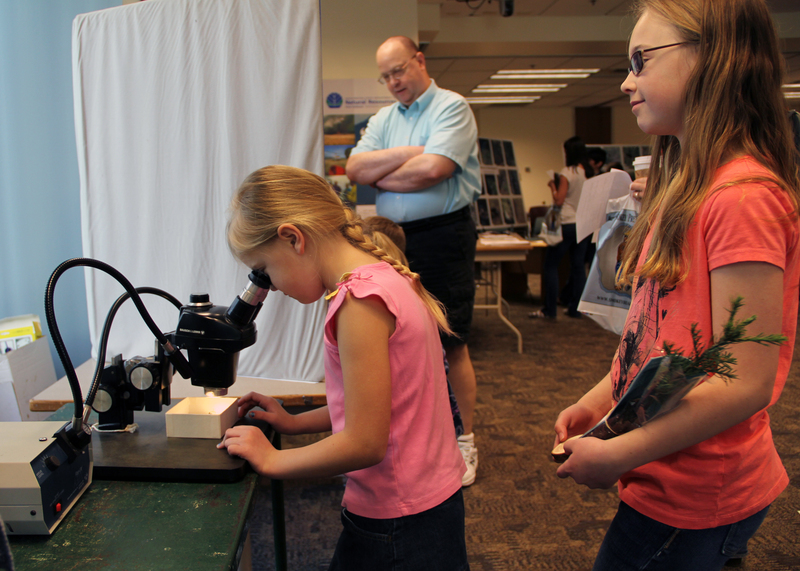 For half a day, the Natural Resources Building here in Olympia was transformed into an education fair featuring trees, bugs, and geodes. Kids had an opportunity to learn how foresters work in the woods and try to stump the forester with their questions. They got up close with bugs while learning about forest health from one of DNR’s entomologists. 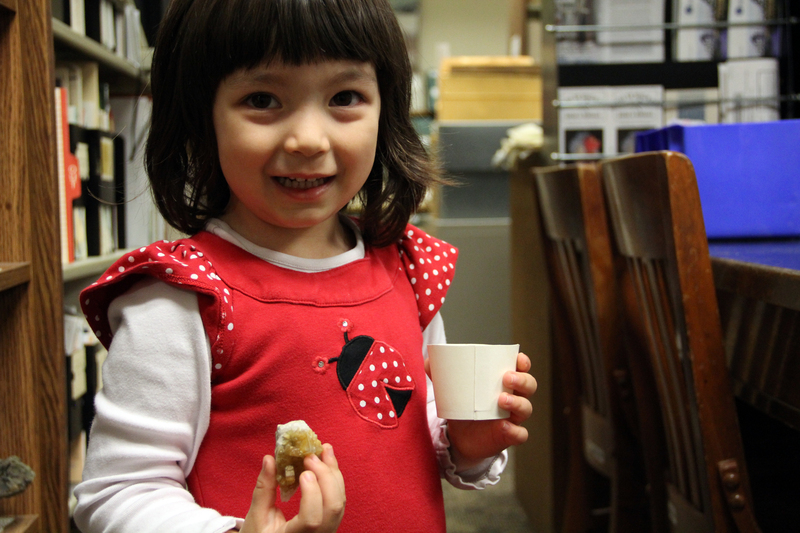 At the Washington Geology Library, children learned the life-cycle of a rock and identified special rocks, from geodes to the Washington state gem:petrified wood. Many kids put their directional skills to the test by learning to use a compass and trying to complete the orienteering course mapped out by DNR’s recreation staff. They were given a noble fir seedling from DNR’s Webster Nursery and practiced proper planting with the Washington Conservation Corps Urban Forestry team. Participants also learned how Geographic Information System (GIS) specialists make maps and use technology to help DNR teams fight wildland fires. They also experienced what it’s like to be a DNR firefighter by meeting some of the team, trying on personal protective equipment, and meeting Smokey Bear, who paid a special visit. 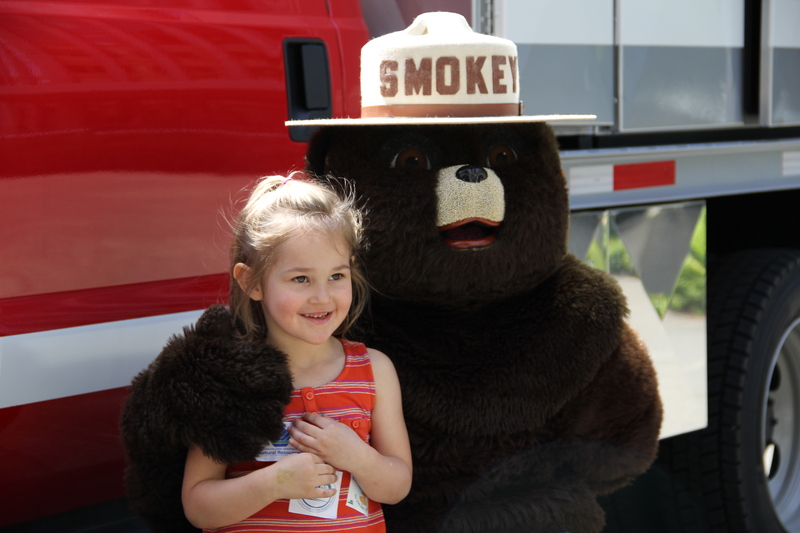 Even Commissioner of Public Lands Peter Goldmark came down to meet the children, thank the volunteers, and snap a quick photo with Smokey. View photos from the event on our Flickr page here. DNR is happy to have had the opportunity to recruit our future generations of state land managers. If you are interested in finding out about the several types of careers that DNR has to offer, visit our jobs page and apply to work with DNR today.